The Direct-to-Liquid Series thermoelectric assembly (TEA) offers dependable, compact performance by cooling objects via liquid to transfer heat. Heat is absorbed through a cold block and dissipated thru a second liquid heat exchanger. 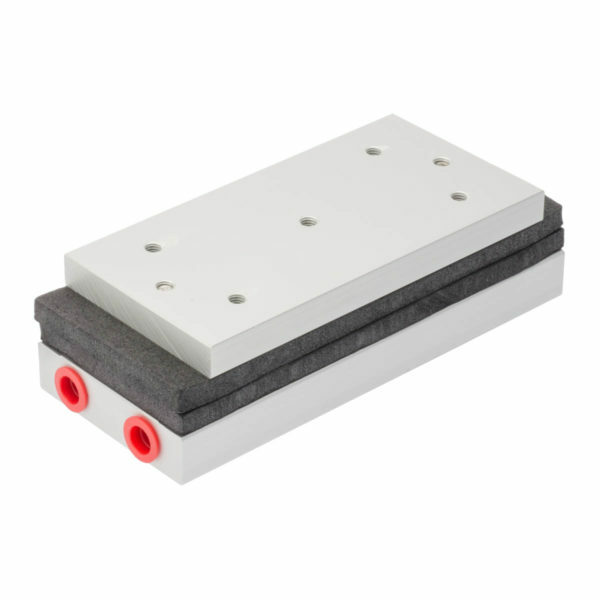 The thermoelectric modules are custom designed to achieve a high coefficient of performance (COP) to minimize power consumption. This product series is available in a wide range of cooling capacities and voltages. Custom configurations are available, however, MOQ applies. The liquid heat exchanger is designed to accommodate distilled water with glycol. Corrosion resistant turbulators are enclosed inside channels to increase heat transfer. Mating port adaptors are sold separately.